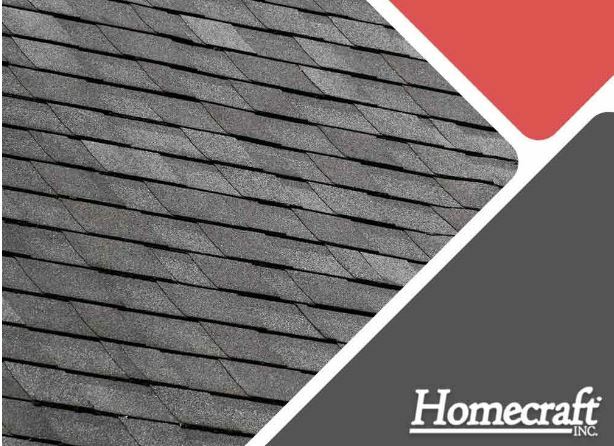 Many roof shingles, especially low-quality ones, often face the problem of thermal splitting. Like any other forms of shingle damage, this can compromise the structural integrity of the roofing system. When this happens, it is imperative to address it immediately. Read on as Homecraft®, Inc. your local roof repair pros, discusses this common roofing issue in detail. Thermal splitting happens when the shingles on your roof expand and contract at quickly. Changes in temperature cause the material components of the shingles to warp then split apart. A variety of factors lead to this problem, including thermal cycling and the adhesive that holds each shingle in place. Tears and splits on fiberglass-based shingles occur due to thermal cycling. The base material could have been too brittle as a result of its exposure to two different temperature extremes. This back-and-forth from intense heat to chilly cold causes the shingles’ thermal contraction and expansion. The adhesive is another notable component that could influence the shingles’ chances of splitting. It could have been too strong, causing the materials to be less resistant to wind shear, which then leads to tears and splits once they get exposed to strong winds. The problem of thermal splitting can sometimes be hard to determine. That said, you need experienced roofers like Homecraft, Inc. to facilitate an inspection. The pros will identify which portions of your roof have been compromised by thermal expansion and contraction. Then, they’ll come up with a plan to restore your important investment. A variety of options are available to solve the issue. You can choose a re-roof if you want an extra layer of protection. In this project, everything, including the undamaged shingles, will be covered with a new roofing layer. A roof replacement, however, may suffice when the damage is too extensive and can’t be fixed through repairs. Homecraft, Inc. offers only the best roofing products from top-notch manufacturers to ensure your project gives you long-term value. Call us today at (877) 494-0377 to get started. You may also fill out our contact form to request a free quote. We serve Newark, Middletown and Bear, DE.